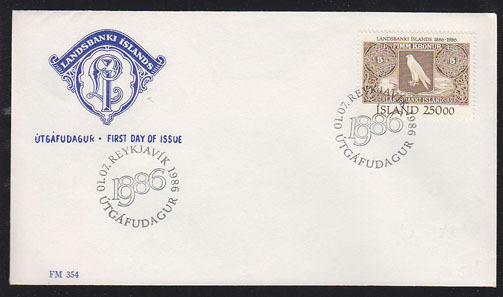 9617 FDC ICELAND (1986) Banknote*. FDC for National Bank issue. Cachet and special cancel. Scott No 627.